President Muhammadu Buhari's recent Christian-centric article has appeased a People's Democratic Party chieftain, FFK who has commended him. 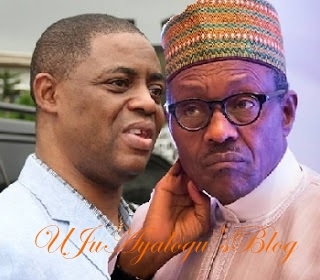 Former Aviation Minister, Chief Femi Fani-Kayode has hailed President Muhammadu Buhari over his recent essay in the United Kingdom's "Church Times" Magazine. It was learned that in statement on Saturday, FFK described the essay as 'Touching'. "The essay that was purportedly written by President Muhammadu Buhari in the United Kingdom's 'Church Times' was impressive, encouraging, inspiring, moving and conciliatry. I was particularly touched by his reference to the great Bishop Samuel Ajayi Crowther and his description of himself as being "a descendant of Abraham". This is a refreshing approach which brings hope and enhances unity. Let us pray that he is being sincere and let us hope that he will reflect these beautiful words in his actions. It is never too late to turn a new leaf."